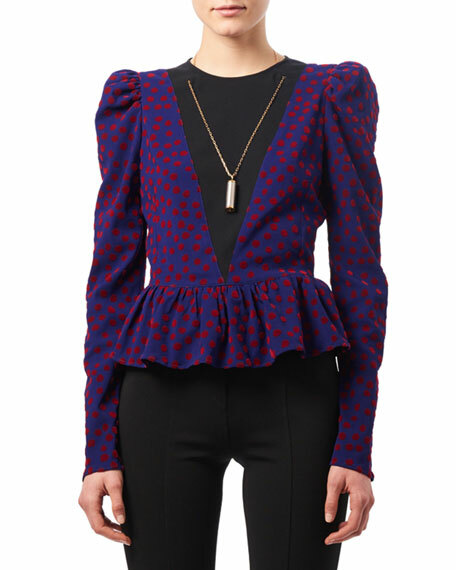 Altuzarra cady blouse with flocked dots. Jewel neckline; contrast plunging V inset at front and back. Golden pendant necklace laces through front. For in-store inquiries, use sku #2187030.